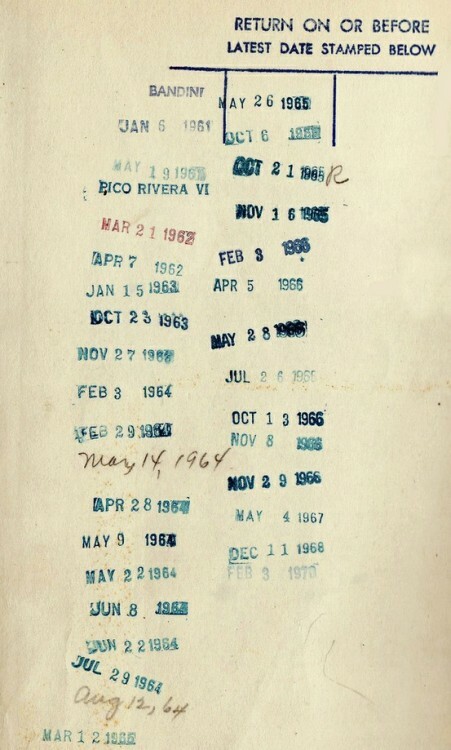 do you remember when a librarian stamped your due date in the back of your library book? she'd pick the right date on that rotating little rubber stamp and smear the yellowing card with blue or black ink. sometimes it would smudge and you'd have no idea when you actually needed to return it. I used to love to look at all of the past dates, seeing due dates long before I was born. it was a timeline, a record of all of the adventures that each book had been on. I was good friends with my elementary school librarian. I'm pretty sure her name was Mrs. Brown. we passed her house every day on the school bus. she would put books aside for me that she knew I'd like. while other kids would need a parent's permission note to read RL Stine, she knew I could handle it. in 3rd grade I decided to tackle all of Louisa May Alcott's books, and I couldn't wait to go in for the next installment of Jo's adventure. in 4th grade, she pulled a purple hardcover book out of a big brown box and handed me the very first of the Harry Potter books. I was the first kid in all of Lyman Elementary to dream about Hogwarts and hope that an owl would bring me my letter at lunch. I was really upset when I finished it, and my mom encouraged me to draft my own tale about what was next for Harry and his pals. luckily, JK Rowling took care of that.